Ep022 - Do You Need To Develop Your Treasury Skills & Keep Learning? In this episode, you’ll get to hear part two of my recent speech at the ACTA (Austrian Corporate Treasury Association). The ACTA is an organisation that I’m very passionate about because not only does it aim to promote the treasury profession, but it also helps support the professional development of treasurers worldwide. 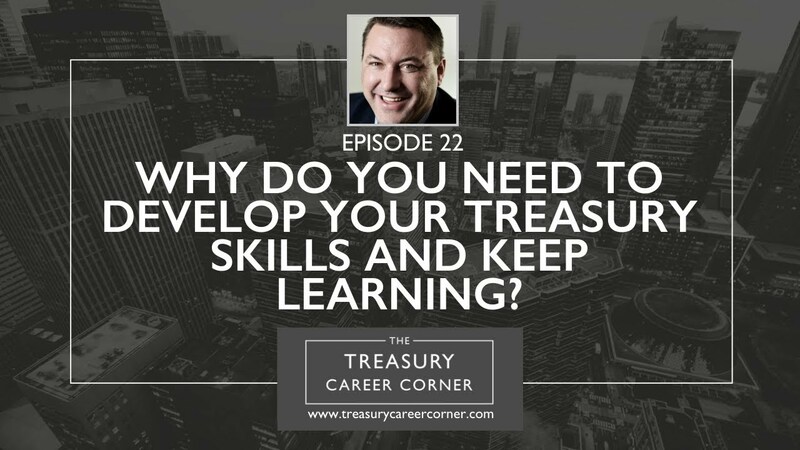 This episode focuses on why qualifications is a key differentiator for anyone working in treasury and why it’s vital that treasury professions continue to develop their treasury skills and keep learning. I hope you find a lot of value from this episode and it inspires you to keep working on improving yourself, your skills and your career. Are you enjoying the podcast? Please hit subscribe on your favourite podcast app to keep up with the latest episodes of The Treasury Career Corner! Interested in pursuing a career in treasury? Visit The Treasury Recruitment Company to search and apply for your perfect treasury job! Or, send us your CV and let us help you in your next career move!